Since 1999, Jackson Grills has been manufacturing quality stainless steel barbecues. 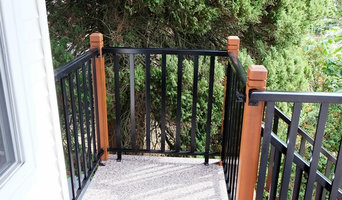 Jackson Grills manufactures built-in grills, cart grills, and portable grills. Each of our barbeques are intelligently designed with high quality stainless steel, easy to maintain, simple to assemble, and each of our built in and cart models are fully loaded with rotisserie kits. We also provide excellent customer support through our specialty dealers and in-house staff. Email info@jacksongrills.com for more information. 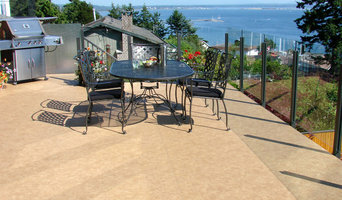 When thinking about creating outdoor spaces we know you've got to start with the floors. RISE specializes in raised flooring solutions. If it is for a patio, rooftop or enclosed balcony we offer a wide range of products that will be ideal for each scenario. After we are done with the floors our clients will find the convenience of accessorizing their entire space with planters, heaters, sun shades, furniture, lighting and more. We use our expertise and connections to get you the best in materials and function. Our full-service solution allows us to take care of your project from beginning until the very end. 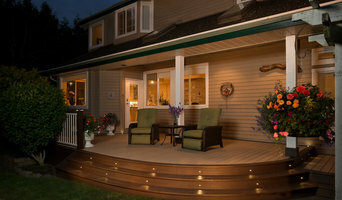 Introducing Valordek— an innovative vinyl decking product built for the Pacific Northwest. From the pummelling rains of Vancouver to the heavy snowfalls of Alberta and the fierce precipitation of Washington, Valordek surpasses industry standards and gives a powerful new meaning to the word waterproof. At Thunderbird Glass, we pride ourselves on meticulous workmanship and outstanding customer service. As our valued customer, you can expect superior results and a smooth construction experience when you hire us for all your residential or commercial glazing projects. To find out more about what we do best, visit our product picture gallery. Whether it’s budget pricing or an on-site visit, we are here to help. To contact us now, fill out the Request an Estimate form. Our quick response is guaranteed! Jensen Lee Construction is a people driven organization and we take pride in everything that we do. People first. Clients first. Period. We were founded nearly 10 years ago by Jensen Wilson right as the economy took a turn for the worst. Our respect for craftsmanship, fair prices, and hard work won the day. We not only survived but learned how to flourish through efficient means and competitive prices. More importantly, we learned the importance of treating our clients right and our people well. Today, we boast more than 20 employees and are capable of completing projects up to $3.5 million in scale. We are one of the most diversified contractors in Whatcom County and are licensed to work in three states. 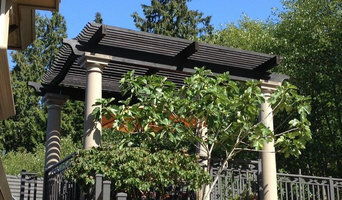 Our specialty division for decks and railings is one of the largest in Washington and includes an exceptionally experienced staff from design to production. You can trust that the people from Jensen Lee are the best in the industry. We specialize in the application of vinyl membranes. This is our bread and butter and the process we have been undertaking, and perfecting, for 11 years running. We use only the highest quality vinyl membranes that are 60 mil +. Our products come with a manufacturer’s warranty of 15 years and is installed in the correct way that will maintain this warranty. Our vinyl is slip resistant, will not crack, warp, or fade. 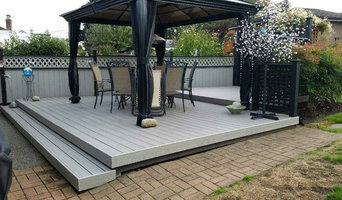 Trust us with your decking project. Knightscapes is named after a steadfast contractor marked on the equitable valour of good deeds + guild quality concrete formwork. Launching August 2018!